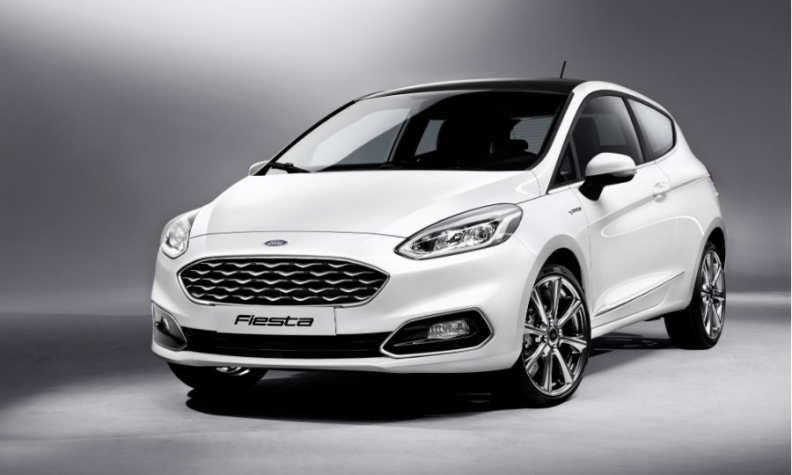 Ford's new Fiesta will for the first time be sold with an upscale Vignale variant. It has 18-inch alloy wheels and distinct exterior detailing. New models, increased technology and a strong focus on personalization are helping volume automakers such as Volkswagen, Ford and Nissan boost sales and improve their bottom lines by selling more expensive versions of their subcompacts, data shows. 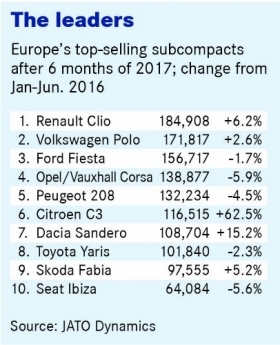 The subcompact hatchback remained Europe's most popular car in the first half with 1.8 million sold, figures from market researcher JATO Dynamics show. Sales increased 5 percent, with share rising slightly to take 21 percent of the European market. The increase came despite market upheaval as the second- and third-biggest sellers – the Volkswagen Polo and Ford Fiesta, respectively – were replaced by new generations. Both new cars are now on sale, which will put pressure on Europe's top-selling subcompact, the Renault Clio. The new Polo and Fiesta are being marketed with a range of high-tech options as VW and Ford bet on customers in the segment wanting equipment usually available in higher segments. Market evidence shows they're right to take this risk. "We've seen more demand for better-equipped and more expensive subcompacts," said Felipe Munoz, a global analyst for JATO Dynamics. Figures collected by the firm showed that in Germany subcompacts costing between 17,000 and 20,000 euros, near the top of the price scale, took 34 percent of the market in the first half of the year, up from 29 percent during the same period last year. Demand was also up for models priced between 17,000 and 18,000 euros, but fell for those costing below that. Sales in the UK showed a similar price pattern, with the 16,000 to 20,000 pound (18,000 to 23,000 euro) price range accounting for 29 percent of sales, up from 24 percent the year before. "It’s a traditional segment but consumers still want better-equipped, more refined cars," Munoz said. To satisfy them, Ford has carved up the Fiesta range into distinct models with different bumper treatments, ride heights and interior detailing. The range includes the sporty ST-Line, the standard Titanium line (and trims below that), the luxurious Vignale option and, coming next year, the crossover-inspired Active line. To capture those at the bottom end of the price scale, Ford offers the more basic Ka+. "This will push the price positioning up a bit. People will spend more on a Fiesta that fits them," Ford of Europe CEO Steve Armstrong said. The new Fiesta has 15 driver assistance technologies using radar or camera technology, such as adaptive cruise control and automatic braking. The previous-generation Fiesta had four. "We see customers downsizing, but wanting to keep the features," Jon Buttress, chief program engineer for the Fiesta, said at the car's launch earlier this year. 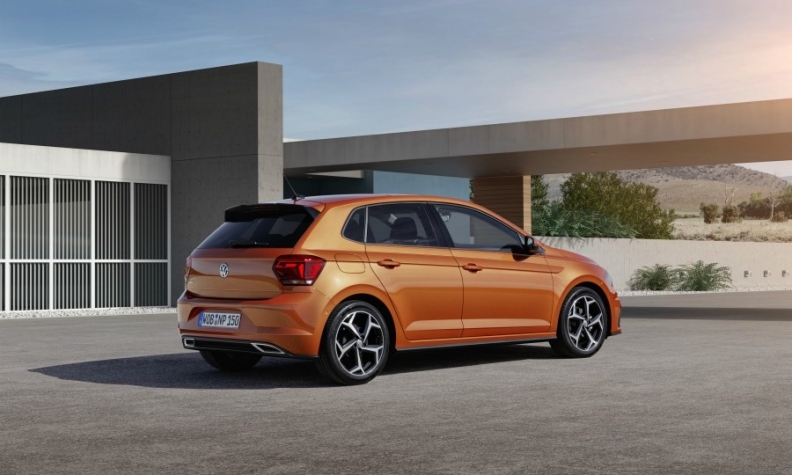 The new VW Polo switches to the VW Group's MQB-A0 platform and matches the Fiesta with safety technology such as adaptive cruise control. It also takes the brand's virtual cockpit. The segment shift to more personalization was a big reason for Nissan moving production of its new Micra back to Europe from India. The brand's chairman in Europe, Paul Willcox, pointed to the 250 different exterior configurations. VW's new sixth-generation Polo features a high-tech interior and modern look. "If you wanted to do that in India, you couldn't. It’s physically impossible. You've got a three-month lead time. To try and match demand is quite difficult," he said. The new Micra went on sale in March. Sales of the car jumped 74 percent to 7,817 in July this year, putting it 12th in the segment charts and beating Nissan's popular Juke subcompact SUV. With the new Micra, Nissan once again offered a diesel after dropping it from the previous model. However, the market share of the fuel within the segment fell in the first half of the year to 20 percent from 22 percent as customers shifted toward gasoline-powered models. Toyota, by contrast, saw a shift away from pure gasoline toward hybrid technology for its Yaris subcompact, which took eighth place in the first-half sales charts. Toyota figures show that demand for the hybrid model grew to more than half of Yaris sales for the first time in the five months from April to August in Western Europe, up 17 percent on the same period the year before. Gasoline sales stood at 42 percent while diesels accounted for just 4 percent of the Yaris's volume. Sales of the Yaris grew 14 percent in August to take fifth place in the subcompact chart, figures from JATO show. The Yaris is built in France, which had the largest share of subcompact sales (29 percent) of the five biggest markets in Europe, which also includes Germany, the UK, Italy and Spain. Greece was tops in Europe with 38 percent of all sales going to subcompacts while Portugal was second at 32 percent. Italy ranked seventh with 26 percent and Spain eighth at 25 percent. Sales in Southern Europe were boosted by short-term rental fleets, which prefer traditional subcompacts, JATO figures show. Despite the big push to improve technology in the segment, one aspect of the subcompact remains stubbornly low-tech. According to JATO data, 94 percent of cars sold in the first half had a manual transmission.